Underwater hockey has a proud tradition of friendliness and camaraderie, which has grown even more prevalent since our first World Championship in 1980. 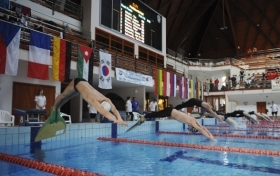 In 2013, these championships look set to be the largest single underwater hockey event ever staged with federations able to enter up to eight teams across the tournament divisions. The organising team is well underway with preparations and we expect you will all have a very memorable and happy time in the beautiful city of Eger, Hungary. On behalf of the CMAS Underwater Hockey Commission, I would like to invite you all to attend the 18th World Underwater Hockey Championships.